While it is quite likely that plenty of musical activity has been taking place at UCL since its inception, few records remain of the general nature of such societies and activities. 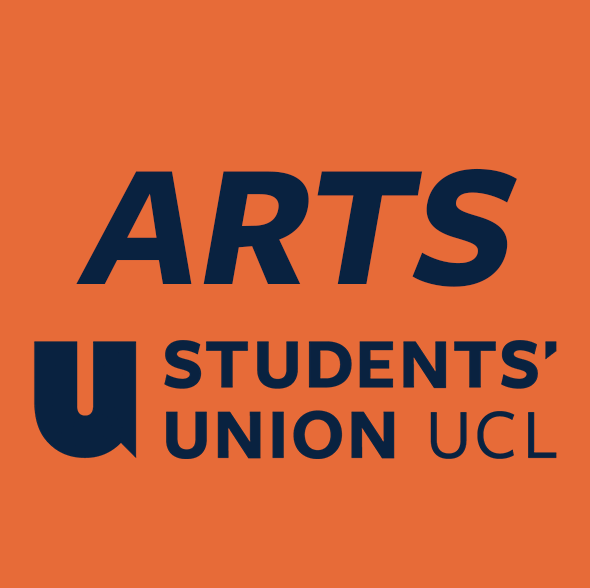 Without a music department, classical music has been in the hands of societies at UCL, historically mostly overshadowed by those London institutions dedicated academically to it. The exception to this lack of records however, is the history of University College Opera, which is closely intertwined with that of the society. University College Opera's first performance at University College London was in 1951. UCO was the brainchild of the College's then Director of Music, Anthony Addison. In the difficult circumstances of the early post-war years it was his ambition to put on opera in a college which had no Faculty or Department of Music, and very little in the way of strong musical tradition. The main auditorium in UCL had been destroyed during the wartime bombing and for the first seventeen years of the opera's existence, performances took place under appallingly difficult conditions in the College's old Gymnasium. Facilities were minimal and there were invariably complications resulting from a raised orchestra pit. In 1962 UCO experimented with putting the orchestra behind the stage and invisible to the audience, but the result was hardly a success. Anthony Addison conducted all performances at UCL until his appointment to the Carla Rosa Opera in 1953 when he was succeeded by a rising young conductor called Charles Mackerras. Although he did conduct some memorable concerts, Mackerras' other commitments at the time unfortunately made it impossible for him to direct any operas at UCL and he was followed by Marcus Dodds, then chorus master for Sadler's Wells Opera. The next important appointment was in 1962 when George Badacsonyi became Director of Music and it was during the long period of his tenure (1963-1976) that significant changes began to take place in the general outlook of UCO and its approach to performance and production practice. From the very start the Music Society's policy had been to choose unusual or rarely performed operas but in the early days the Opera was almost entirely a college activity and very much amateur based - the orchestra, chorus and nearly all the soloists were either current or very recent UCL students. Inevitably the performances were not always of the very highest standard, so during the 1960's the decision was taken to introduce aspiring young professional singers into the casts. This policy was implemented on a very much larger scale with the opening of the Bloomsbury Theatre (originally the Collegiate Theatre). The new theatre had excellent modern facilities and was a world away from the dim and draughty gymnasium. The whole production became much more professional and this, combined with the unusual repertoire, began to attract the critics.As early as 1957 the periodical Opera reviewed a UCO production and from 1968 UCO's productions came to be regarded as one of the outstanding annual events in the British opera calendar, regularly and enthusiastically reviewed by the national press. George Badacsonyi's long and distinguished period as conductor came to an end and he was followed by two excellent and experienced conductors in Guy Woolfenden (Director of Music for the Royal Shakespeare Theatre) and Howard Williams (then a staff conductor at the ENO). Then in 1981 began the UCO career of its second longest serving Director of Opera, Christopher Fifield. Fifield's tenure at UCO lasted ten years during which UCO took an ever more original and enterprising direction, including the opportunities he gave the opera-going public to see four virtually unknown operas: Chabrier's Gwendoline, Spohr's Faust, Smetana's Devil's Wall and particularly Die Lorelei by Max Bruch (whose first ever critical biography was written by Fifield). At the time Christopher Fifield was a long-serving member of Glyndebourne's music staff. In 1991 he was succeeded as Director of Music by Simon Kenway. From 1992 to 2000, UCO was in the extremely capable hands of David Drummond, who made his debut with Lalo's Le Roi d'Ys. Arriving straight from Scottish Opera, David's energy and inspiration continued to provide UCO with memorable performances. Glinka's Russlan and Ludmilla in 1993, for example, was sung in Russian and featured two brass bands, one on each side of the auditorium. One of the proudest achievements in University College Opera's long history was the 1994 production of Cesar Franck's Hulda which Drummond rediscovered and restored from the composer's manuscript. UCO was thus able, on Hulda's hundredth anniversary, to give a world premiere of this work as the composer had intended it, causing a major re-evaluation of Franck as an opera composer. Drummond continued to delight UCO audiences with inspired repertoire choices such as La Wally, The Ballad of Baby Doe, Mazeppa, The Jewels of the Madonna and Kullervo, and for bringing in directors of the calibre of Robert Chevora, Netian Davan-Wetton and Paul Curran. Over the last three years, UCO has packed out the Bloomsbury Theatre on every night, commanding audiences to witness the work of such audacious repertoire at the great standard of which the company is currently capable. UCO's 50th anniversary production, and Drummond's swansong, was Sallinen's Kullervo, attended at its British Premiere by the composer and reviewed to great acclaim alongside Covent Garden in Opera Now magazine. Something should be said concerning the singers who have appeared in UCO productions. Home-grown products have included two UCL students who later went on to successful professional careers. Mary Illing was a geology student with a pure, clear, lyric soprano voice who sang Bastienne in 1952 and returned as a professional for Der Wildschütz in 1958 and sang with Sadler's Wells. Terry Jenkins was an engineering student in the early sixties, when he sang the leading renot parts in a number of UCO operas and went on to become a regular member of English National Opera. Since UCO decided on a consistent policy of employing aspiring professional soloists there have been three outstanding examples of little-known singers who had some of their earliest stage experience with UCO and later went on to become famous: these were Felicity Lott, Jonathan Summers and Robert Lloyd. The progression continues. Julian Gavin - who sang in Hulda - became one of ENOs principal tenors. Rachel Nichols (Mazeppa), Grant Doyle (Jewels) and Carole Wilson (Kullervo) have all recently made their debut at the Royal Opera. This intermingling of amateur and professional in music has always been mutually beneficial and UCO has good cause to be proud of its achievements in bringing students and progessional performers together. Perhaps the last word should rest with one of the earliest enthusiasts of opera at UCL, Ralph Vaughan Williams. In her biography of her husband, Ursula Vaughan Williams notes in 1952 that "...another opera he saw during the winter was Nicolai's The Merry Wives of Windsor which was given a sparkling performance by students of UCL." He would be delighted that UCO is still flourishing after his words of encouragement. Since 2002, University College Opera has been musically directed by the award-winning conductor Charles Peebles.